Author, photographer, historian and adventurer Jeffrey Ryan will appear at the Samuels Public Library in Front Royal, Virginia to present "An Appalachian Odyssey — My 30 Years on the Appalachian Trail". Ryan has hiked over 8,000 miles on America’s trails including the Pacific Crest Trail, the Ice Age Trail and many more. In 1985, he started “inadvertently” hiking the Appalachian Trail with a friend, an adventure that ended up spanning over 2,100 miles and nearly three decades. Ryan’s book about that journey, Appalachian Odyssey: A 28-year hike on America’s trail, debuted in 2016 to rave reviews. The former Executive Editor of National Geographic has written that "Appalachian Odyssey is destined to be a classic of nature and travel writing.” It is a story of enduring friendship infused with historical perspective and the joys of staying true to a vision that culminates in a singularly entertaining journey. The AT was the precursor to the other National Scenic Trails, now numbering eleven and brought into the national consciousness by the National Scenic Trails Act signed 50 years ago. Jeffrey is a great storyteller. When his stunning photographs of the trail are added in, it makes for a thoroughly entertaining evening. 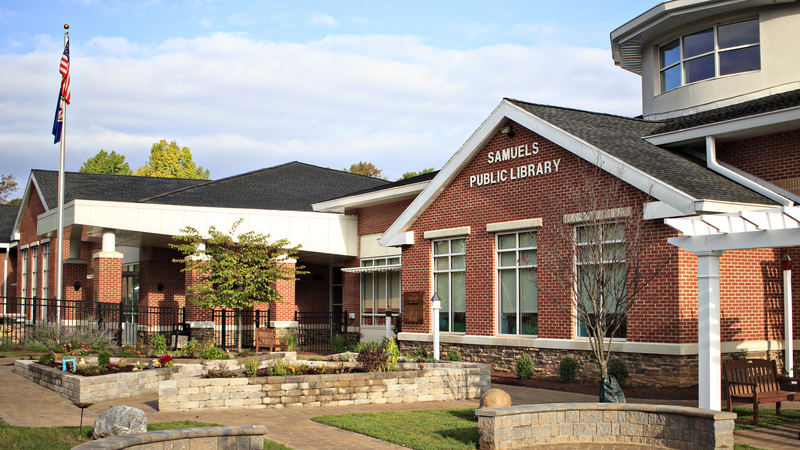 This event made possible through the generous support of Friends of the Samuels Public Library.